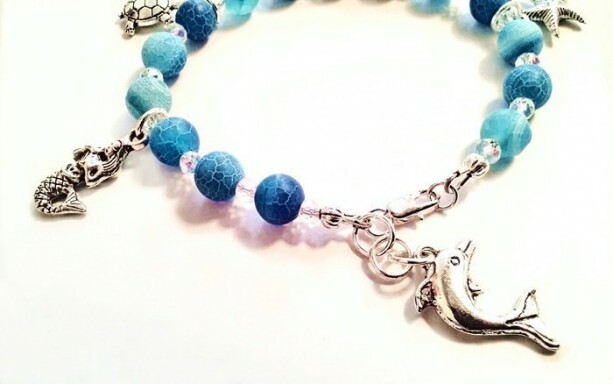 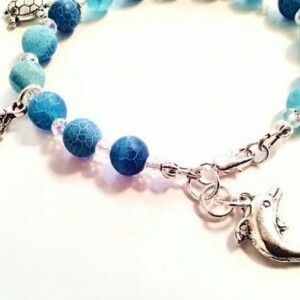 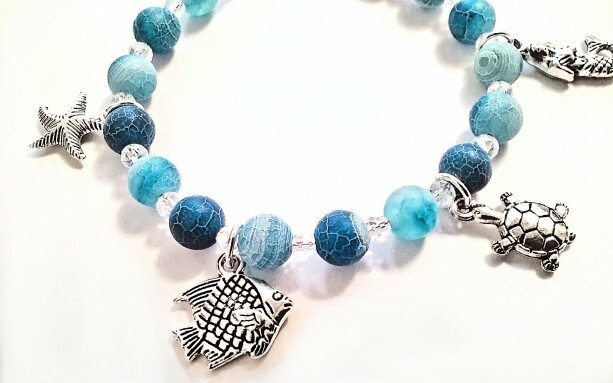 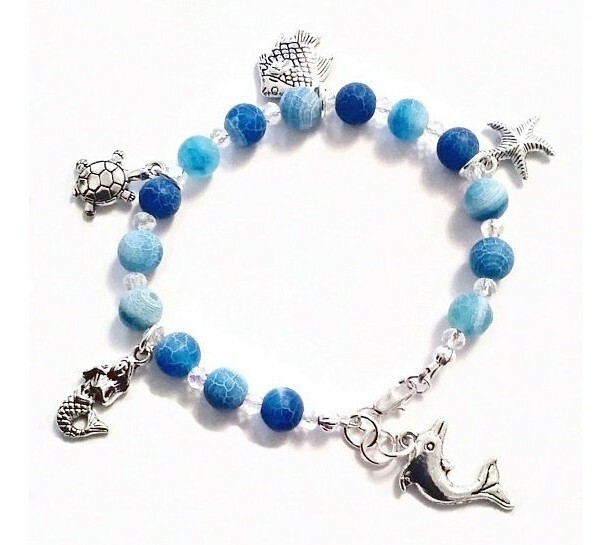 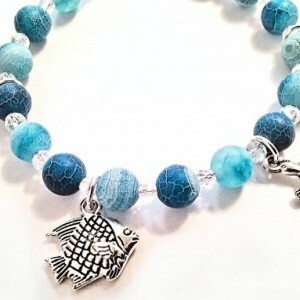 Beach Charm Bracelet, Star Fish Charm, Blue Agate Bracelet, Mermaid Jewelry, Sea Turtle, Sea Life Jewelry, Fish Charm Bracelet Dolphin Charm Blue, crab agate beads coupled with clear crystals and fun, silver pewter, sea life charms with a lobster claw clasp. 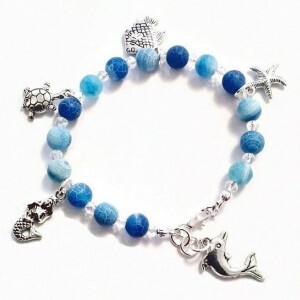 Charms included are a mermaid, star fish, sea turtle, dolphin and a fish. 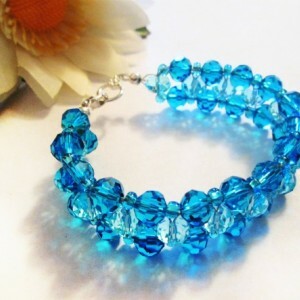 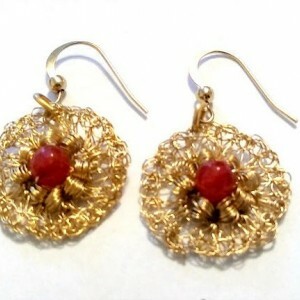 Measures 8" long, Included in your order will be free gifts, just to say thank you for your purchase!